The FTSE 100 is down 13% in the year on a price basis, and 8% on a total return basis when dividends are included. Just 28 of the UK’s large-cap stocks are in the green, with the rest all down by more than 1%. Still, there were a few bright spots in the UK this year. Below, we pick out those that fared best 2018 on a total return basis according to Morningstar Direct data. It’s been a breakthrough year for online delivery portal Ocado (OCDO), which has signed a number of big licensing deals with its Ocado Solutions technology. The biggest of those was the one penned in May with US supermarket Kroger (KR), which saw shares jump 50% overnight. Now, says Emma-Lou Montgomery, associate director at Fidelity Personal Investing’s share dealing service, all eyes will be on Ocado to see what it does next in 2019. Russian steel miner Evraz (EVR), which is a third owned by Chelsea FC financier Roman Abramovich, has surged as prices of the commodity continue to recover. Its share price is up around 40% in 2018, but including dividends it has returned two-thirds for shareholders. According to AJ Bell, the stock has the second highest forecast 2019 dividend yield in the FTSE 100 at 12.1%. Despite that, it trades on a 2019 price/earnings multiple of just 7 times. Educational content supplier Pearson (PSON) continues its own recovery, having seen shares decline by 62% between March 2015 and September 2017. Its 2017 was notable for multiple profit warnings, but it’s now back above the level it reached two years ago and has delivered gains of 29% year-to-date. It looks as though boss John Fallon has convinced investors the problems were due to the American academic textbook market, rather than a longer-term structural decline in the business, says Mould. Its cost-cutting programme also helped assuage the market and suggests the future looks brighter. 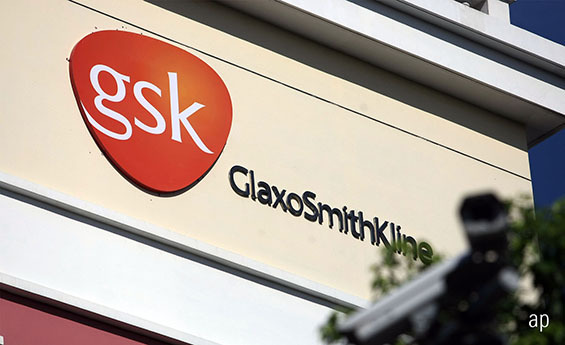 Rounding out the top five were drugmakers AstraZeneca (AZN) and GlaxoSmithKline (GSK), which returned around 20% each. Glaxo’s shares are up 3% since Wednesday alone, after it agreed to merge its consumer healthcare business with US rival Pfizer’s (PFE). The plan to demerge and list the new division on the UK market will “transform Glaxo into a pure pharmaceutical company focused on a select few therapeutic areas, something prominent investors have long been calling for”, according to Ketan Patel, manager of the EdenTree Amity UK fund.